Enemies In-Law Chul-Soo is the only son of a legendary thief family. He falls in love with Young-Hee who is a police officer. Her family is also a police family. To get her parents’ permission to marry, Chul-Soo undertakes an exam to become a police officer, but both families work to prevent their marriage. Luck-Key A reverse comedy that tells the story of a perfectionist assassin who falls and hits his head in a sauna, giving him amnesia. When a down-and-out actor switches locker keys with him, they switch lives until the hit-man, who soon becomes an action hero on TV, starts to remember things. Confidential Assignment When a crime organization from North Korea crosses borders and enters South Korean soil, a South Korean detective must cooperate with a North Korean detective to investigate their whereabouts. 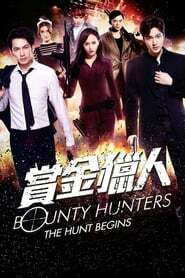 Bounty Hunters Lee Shan and Ayo are ex-Interpol agents who are now bounty hunters, chasing fugitives for cash rewards. When the two of them are framed for a hotel-bombing, they join hands with a legendary bounty hunter named Cat, along with her teammates, to find the real bomber. Fabricated City In real life, Kwon Yoo is unemployed, but in the virtual game world he is the best leader. Kwon Yoo is then framed for a murder. With the help of hacker Yeo-Wool, he tries to uncover the truth behind the murder case. Assassination Assassination is set in Korea and Shanghai in the 1930's during the Japanese occupation. The government resistance assigns a secret commando group with killing collaborators.